"Slapstick, hilarious adventures which may not always quite go to plan! 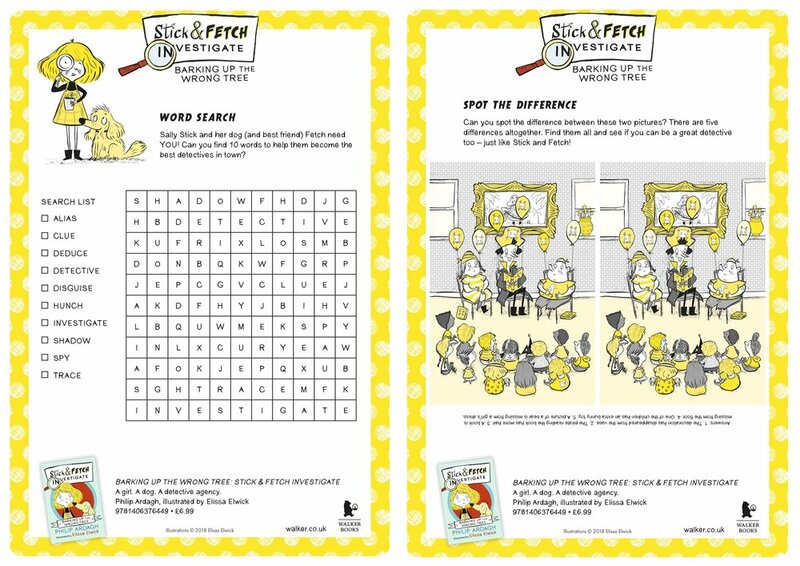 Bringing back a wonderful partnership – Ardagh and Elwick – and introducing a promising new one, Sally Stick and her best friend Fetch, [in] a fantastic, appealing book for keen mystery solvers, emerging independent readers, big thinkers and those who love a big splash of humour and colour in their lives! A good fun adventure, some great vocabulary, and wonderful vibrant, colour illustration. "